Erno Laszlo's 'White Marble' range is all about balancing tone, illuminating and correcting hyperpigmentation. 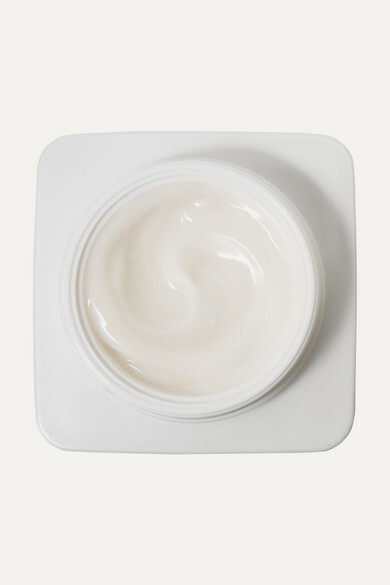 Perfect when your complexion looks dull or dehydrated, this silky 'Translucence' cream is infused with Chinese Plum Extract and an active complex to restore brightness and block discoloration caused by melanin production. It works on a cellular level to diminish the appearance of dark spots and combat aging environmental stressors such as pollution or harsh weather.